Northern Railway Apprentice Recruitment 2018 - Job notification for 3162 Apprentice Vacancies in New Delhi. Online Applications are invited by Northern Railway from 28.12.2017 at 11:00 AM to 27 Jan 2018 at 05:00 PM to for 3162 vacancies. 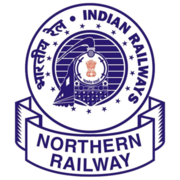 Northern Railway Apprentices Admit Card 2018: Northern Railway has issued the Admit Card on 11 Apr 2018 for the exam. 15-24 years of age as on 27-01-2018. Age relaxation for various categories/community shall be applicable as per rules as amended from time to time. The candidate must have passed 10th class examination or its equivalent (under 10+2 examination system) with minimum 50% marks, in aggregate. from recognized Board and must have passed ITI in relevant trade recognized by Government. Selection will be on the basis of merit prepared taking the average of the percentage marks obtained by the candidate in both Matriculation (with min. 50% aggregate marks) & ITI examination giving equal weightage to both. Eligible candidates may apply online at Railway Recruitment Cell Northern Railway website (direct link is given below) from 28.12.2017 at 11:00 AM to 27.01.2018 at 05:00 PM. 1. Before applying online candidates should have valid e-mail ID & Mobile No. 3. Read the information carefully & Click on the “Engagement of Act Apprentice” Link ONLINE Application." 4. 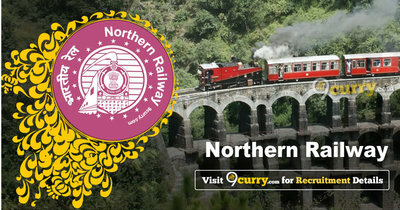 Candidates Registration - Fill the details in the application & Submit the Form. 5. Pay Online Fee & & on successful transaction “Candidate Dashboard containing Application Form, Upload Photo/Signature/Thumb Impression and Application Details/ Print will appear”. 6. Enter the Application fee payment transaction ID, verify it and fill the Application Form. 7. Save Detail, Edit if required and then finally save detail. 8. Now click on upload Photo link in the “Candidates Dashboard” and Photograph, Signature & Thumb Impression having size 10 to 50KB in jpg format & Save Images and upload certificates like :- educational, caste, PWD & Ex-SM certificates etc. On completion candidate can take print of application & Fee payment slip for candidate purpose record only.